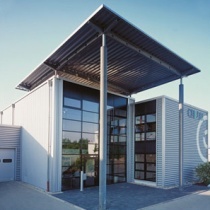 The companies CALOR and REGMA form an independent, german/french business group with 65 employees, working exclusively in the development, production and sale of thermal transfer ribbons. Regma in Normandy has been coating film, initially under japanese licence, since 1986. In 2010 we sold more than 40 million m² of thermal transfer ribbon throughout Europe. Today, Regma mainly coats thermal transfer film for special applications in the label and ticket printing sectors. CALOR, based in Baesweiler, has specialised in thermal transfer ribbons since 1991. Together we have been working closely with leading coaters from around the world for many years. Our aim in the coming years is to grow further steadily. We want to continue to offer our customers first class products and outstanding service at favourable prices.